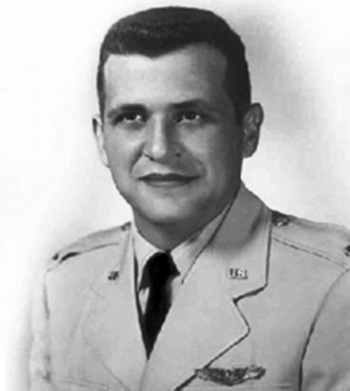 Francis Gary Powers was born on August 17, 1929, in Jenkins, Kentucky, and was raised in Pound, Virginia. After graduating with a bachelor's degree from Milligan College, Tennessee, Powers enlisted in the U.S. Air Force on October 5, 1950, and entered the Aviation Cadet Program of the U.S. Air Force in December 1951. He was commissioned a 2d Lt in the U.S. Air Force and was awarded his pilot wings at Williams AFB, Arizona, on December 19, 1952, and then completed F-84 Thunderjet Combat Crew Training at Luke AFB, Arizona, in June 1953. His first assignment was as an F-84 pilot with the 468th Strategic Fighter Squadron of the 508th Strategic Fighter Wing at Turner AFB, Georgia, from October 1953 until he joined the Central Intelligence Agency as a U-2 Dragon Lady pilot on May 13, 1956. During this time, Lt Powers deployed with his squadron to Japan in support of Ceasefire operations at the end of the Korean War from February to May 1954. 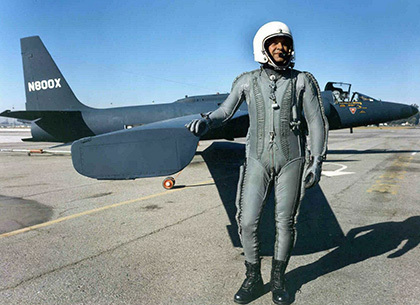 After joining the CIA U-2 program, Powers began making reconnaissance flights over the Soviet Union in November 1956, and was later shot down over enemy territory on May 1, 1960. He was captured and held as a Prisoner of War by the USSR from May 1, 1960, until he was released during a prisoner exchange on February 10, 1962. After his release, he remained with the CIA until resigning on March 1, 1963, which also became his discharge date from the U.S. Air Force with the rank of Captain. Gary then flew as a U-2 test pilot with Lockheed from October 1963 to January 1970, and later flew helicopters for radio and television stations in Los Angeles, California, until he was killed in an aircraft accident on August 1, 1977. Francis Gary Powers was buried at Arlington National Cemetery. For gallantry in connection with military operations against an armed enemy of the United States from 1 May 1960 to 10 February 1962. During this period, while assigned to the Joint United States Air Force, Central Intelligence Agency, U-2 Reconnaissance Squadron, Detachment 10-10, Captain Powers was held captive in solitary confinement in the infamous Lubyanka Prison, Moscow, in the former Union of Soviet Socialist Republics, after his U-2 aircraft had been shot down by a Soviet surface to air missile over enemy territory. For almost 107 days, Captain Powers was interrogated, harassed, and endured unmentionable hardships on a continuous basis by numerous top Soviet Secret Police interrogating teams. Although greatly weakened physically by the lack of food, denial of sleep and the mental rigors of constant interrogation, Captain Powers steadfastly refused all attempts to give sensitive defense information or be exploited for propaganda purposes, resisting all Soviet efforts through cajolery, trickery, and threats of death to obtain the confessions they sought as part of the pretrial investigation. Captain Powers was subjected to an international trial and was sentenced to an additional 542 days of captivity in Vladimir Prison before finally being released to United States control. As a result of his indomitable spirit, exceptional loyalty, and continuous heroic actions, Russian intelligence gained no vital information from him. 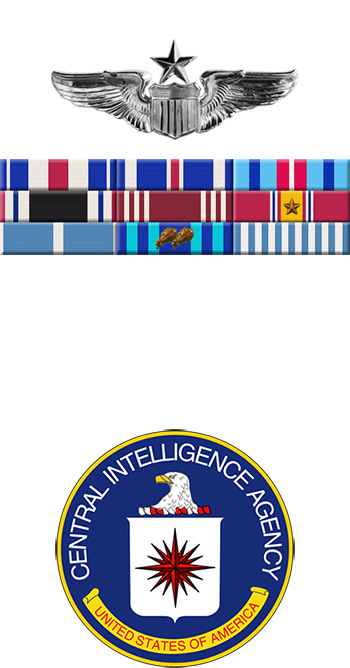 For his sustained courage in an exceptionally hostile environment, Captain Powers was publicly recognized by the Director of the Central Intelligence Agency and the Senate Armed Services Committee. By his gallantry and devotion to duty in the dedication of his service to his country, Captain Powers has reflected great credit upon himself and the United States Air Force. Gary Powers with one of the U-2 Dragon Lady reconnaissance aircraft.